The Phillies announced Thursday that they’ve acquired left-handed reliever Jose Alvarez from the Angels in a straight-up swap for right-handed reliever Luis Garcia. At first glance, the move looks like a head-scratcher for the Halos, as both pitchers come with two years of remaining club control and identical $1.7MM arbitration projections, via MLBTR contributor Matt Swartz. However, Alvarez turned in a terrific 2018 season, working to a 2.71 ERA with 8.4 K/9, 3.1 BB/9, 0.43 HR/9 and a 45 percent ground-ball rate in 63 innings out of the Angels’ bullpen. Garcia, meanwhile, struggled to a 6.07 ERA in 46 innings of relief. Of course, he also averaged a hefty 10.0 K/9 against 3.5 BB/9 with a 48.4 percent ground-ball rate. Looking past their ERAs, then, Garcia actually graded out more favorably in some regards. Some fielding-independent metrics were actually more bullish on the 31-year-old Garcia than the 29-year-old Alvarez; Garcia’s 3.64 xFIP was superior to Alvarez’s 3.98 mark, and his 3.46 SIERA also bested Alvarez’s mark of 3.78 by a slight margin. Garcia is also just a year removed from a 2.65 ERA in 71 1/3 innings of work, and there’s plenty to like about his 97.2 mph average fastball and impressive 14.5 percent swinging-strike rate. It’s also worth noting that the Phillies were one of the worst defensive teams in baseball by virtually any measure in 2018, which did Garcia and others no favors. Angels fans will surely bristle at the notion of acquiring a reliever whose ERA checked in north of 6.00, of course, but Major League front offices have generally moved away from evaluating players based solely on that rudimentary mark. 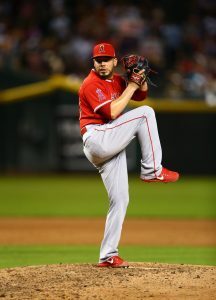 Admittedly, however, it still registers as a surprise when looking at the Angels’ moves on the whole; the club bid adieu to Blake Parker via non-tender last week and has effectively replaced him with Garcia — all at the expense of its lone experienced left-handed reliever. Adding another lefty (or two) to the relief corps figures to be a priority for GM Billy Eppler and his staff moving forward. As for the Phillies, they’ll add a pitcher who can’t match Garcia in terms of velocity or swinging-strike rate but was generally dominant against left-handed opponents in 2018. Alvarez held same-handed batters to a putrid .206/.265/.338 slash through 147 plate appearances in 2018 and will give the Phils a lefty to pair with fellow recent acquisition James Pazos and longtime Philadelphia southpaw Adam Morgan. 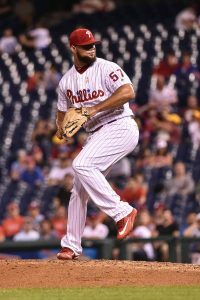 Alvarez, in essence, will step into the role that would have been filled by fellow lefty Luis Avilan had he not been non-tendered last week — and he’ll do so with a projected arbitration salary that checks in $1.4MM south of the $3.1MM that Avilan was projected to earn. Stupid move at the moment. Alvarez has been a staple in the bullpen for years. Good lefty who can face righties and go multiple innings. You’ll enjoy him, he’s not afraid of inherited runners either. Wow, Phillies got a solid guy, but they better improve their defense; otherwise, Alvarez won’t fair nearly as well as he has previously.. Even defensive metrics cannot allow you to fully appreciate Simmons’ pure excellence at SS. Defensively speaking, he is EASILY far and away the best SS in the past several decades!! I agree that Simmons is brilliant with the glove, easily the best defensive SS of the current decade, but he is not “far and away” better than Omar Vizquel..
Phillies had one of the worst infield defenses in the history of the game. Garcia is a groundball pitcher. Angels had one of the best infield defenses in baseball. Alvarez is a groundball pitcher. Actual outfielder? Or a catcher playing in the outfield? I always love seeing people announce their ignorance as if it’s something they take pride in. So far this offseason the Angels have either released players or traded players away. Doing their best to give Mike Trout reasons to stay with them long term. With better fielding behind him Garcia is probably the better pitcher. Also, they might see a chance to add a 2 seam. no hig lost from phillies side. so I guess they will not pursue a FA LH reliever. is alvarez any good? ericm25 and angels fan – good question and good info. Thank you as I had that same question. If he is better against righties though, Kapler is sure to only use him against lefties. Maybe we could trade Kapler for Ausmus. This season Alvarez had a .206 against lefties. He is solid with no drama. Very reliable and sturdy. The Phillies won that trade. looks like one good year which was 2018. I guess he gets better with age. Fairly good trade. Alvarez being a good south paw that can change speeds effectively. Also Garcia could add some depth to their bullpen along with being a veteran to the younger ones. flea market swap. Both teams hoping to find a diamond in the ruff and then flip for more junk. Well one pitched a diamond of a year last hear so you may not be looking to hard in that ruff. This wasn’t a change of scenery trade. Alvarez is good. Not sure what’s in this for the Halos. Long time coming in saying goodbye to Garcia. Goodbye! Garcia gets the edge on peripherals here. The difference in ERA is likely more to do with the environments each pitcher was in. Going to a more pitcher friendly environment will probably bring a more accurate ERA for Garcia. What do you mean? I’m pretty sure Alvarez had the better advanced numbers on top of counting stats. Any veteran pitcher going to the Big A is likely to see their ERA drop. but it didn’t happen to many last several years. Or it could be worse as he’s facing hitters throughout the lineup and no pitchers in ther AL. Usually when a guy goes from NL to AL the ERA goes up a run or so but when they go AL to NL it tends to drop. Your theory may also ease the ERA as it isn’t as small at CBP. Relievers in the AL rarely face pitchers. hes a reliver… how often do 1 inning guys see a pitcher? Going from one of the worst defenses in the history of the game to one of the best defenses in the game today will help Garcia immensely. That is why his FIP was 2.56 points lower than his 6.07 ERA. The Phillies defense stunk. Garcia is a flame thrower and Billy loves velo. Nice peripherals. I’m good. Why on earth would you ever evaluate a picture on that little thing we call earned run average? LOL! One of those times it is flat out ignorant to go buy analytics. because era has zero predictable value. It’s a lot easier to record outs when you have a generational talent defensively at SS than when you have whatever the Phillies had last year. You could say that Simba’s presence at SS is a big reason the Angels have been ranked around the middle or higher in several pitching categories the last couple of years despite losing so many arms to major injuries. I’ll preface this comment by saying you are free to look at whatever stats you want. Everyone should enjoy baseball the way they prefer to do so in my mind. However, to say it’s ignorant to choose to look at something other than “earned” runs for a pitcher who pitched in front of the worst defense in baseball last season and to imply that the only rational way to look at his effectiveness is (ER/IP)*9 is astoundingly closed-minded. Jake Arrieta had a career 5.46 ERA in 350 innings with the Orioles. Blake Treinen’s ERA with the Nationals was 5.73 when he was traded to the A’s. Andrew Cashner got a $16MM deal from the Orioles largely because he had a 3.40 ERA in 2017 but with no peripherals to match. Just because it’s the most traditional way that people look at pitchers doesn’t make it the best or only way to do so. There’s a reason that analytics have become more popular and are widely embraced by front offices — because traditional metrics like ERA, batting average, etc. are less predictive. Heck — Garcia himself had a nearly four-run difference between his 2017 and 2018 ERAs. Again — enjoy the game how you want. I don’t care if you look at ERA, Wins, WHIP, xFIP or xwOBAcon when you’re judging a pitcher, but the rationale of insulting people for thinking differently and looking for new ways to assess problems is one I’ll never get behind. Wish I could up vote this more than once. Well said. Agreed Steve. I posted this below, but just so everyone does not have to scroll – ERA for a reliever means nothing to me. Garcia got lit up in two games – before that his ERA was mid-4s (I verified it between posts). Hence, any reliever with a bad outing or two will have a higher ERA. Traditionally, I like WHIP and inherited runners scoring for relievers. Just me. There are a ton of people who come here to insult. I like baseball. I try to be objective. I pick the people I respond to now. I encourage my “friends” who think like me to do the same and ignore the mean people (trolls). If we ignore them, they go away. Steve, you can not argue with facts. You are completely correct with all your points. Most of the people here just want to see their stupidity in writing, makes them feel important. Let each fan enjoy baseball as they choose. If they can’t handle it, they can stop replying, this will site will be better without them. It takes a lot of time and effort to research newer stats, wrap your head around why they were created and also get over some previous biases that have naturally been built up in our heads over several decades of being told why things do or don’t happen. If that’s not your cup of tea — I get it. More power to you. My issue is with mocking those who choose to embrace new stats. Or, for that matter, for insulting and mocking those who simply want to look at the baseball-card numbers we all grew up with and call that good enough. Baseball’s a game that appeals to a wide variety of people for a wide number of reasons. Much like I wouldn’t mock someone for their choice in movies, television, literature — or for the specific components of those mediums they happen to enjoy — I don’t see any point in mocking someone for how they choose to enjoy the game we all clearly love. Steve, yeah you may be in the wrong medium of work, but you are in the right line of work. I am open about hating sabermetrics. However, I see value in how it looks at data differently. I just don’t see how it tells me something I cannot see in traditional stats. That said, I don’t think people who like sabermetrics are antichrists. But yes, common sense on relievers – less innings means ERAs jump quickly due to a thing I call mathematics. Hence, ERA for a reliever is junk. It was designed when starters went 9 innings. Times have changed, so I guess I am now defending sabermetrics here LOL. I love your analogy. Nothing wrong with classical music or electric guitars. Whatever works. Thanks for sharing this. I wish MLBTR would (or could honestly) crack down on some of the troll accounts. angels fans, do you finally realize what a genius eppler is? Guess the Angels needed someone to cut hair. Thank goodness , have fun with Alvarez Philly.. comes in to face a lefty, walks him and then a righty comes in to save the day. happens twice a week. Then throws a flawless 2 innings when we are losing by 10 runs ! What Alvarez were you watching? He was solid for the Angels. Alvarez had a 34:9 K:BB and .206/.265/.338 slash in 37 innings against lefties. 9 whole walks vs. lefties last year…yeah, just terrible. you realize we got a solid lefy in Patrick Sandoval in return. i’d understand this move if epp was trying to save money. but the savings would not be more than $500,000. then what for? Just look at the 40-man roster… 19 RH 4 LH before this trade (including starters). Good move, balance the bullpen. Kuechel and Happ are lefties… no lefties in the current rotation. Next Angels trade: Trout to Atlanta for Ryan Flaherty. Angels should sign any free agent they can right now. They should then just trade Trout and anyone else who brings back high ceiling guys. They then can play whomever they pull out of the scrap heap and trade anyone who succeeds and is 26 or older. They should sign Harper and immediately trade Upton along with money. Trade for Grienke, Felix and Myers. Keep Trout, sign Harper = profit??? Because almost all relievers are volatile, and Eppler is betting that volatility is going to work in his favor with this trade. Read Steve Adams analysis above. MLB front offices are now valuing FIP over ERA, please adjust your own brains to this info. I love the trade, but Garcia’s numbers were not that terrible until Atlanta and Miami lit him up in September in two games. Before that, his ERA was mid-4s if I remember. Still, we need a solid lefty and this is a good (albeit boring) move. Well, I see another day disappeared and neither the Phillies or Yankees spent any money. I wonder who they’re saving it for? Year after year after year… the standings and scoreboard do not lie. This Angels organization is lost and has zero direction. Hope the Barber can find success in LA. When he was on he was dominant. I’ve been pretty harsh on Matt Klentak. But, this is a solid trade and he flat out robbed the M’s. I apologize Matt. A little early to hit the bottle, no? ERA is rudimentary? It’s the statistic that tells how many runs you give up. That’s kinda the most important thing right, how many runs you allow. I get there are contributing factors, but a sub 3 ERA and a 6+ ERA can’t be explained away by defensive differences and xFIP. 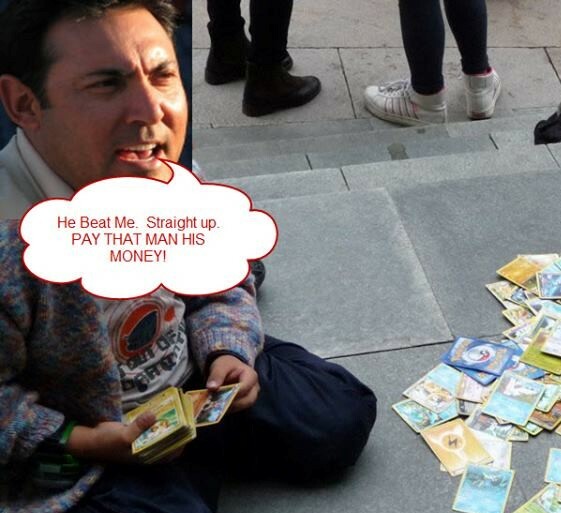 LMFAO. Are you really that ignorant of how much defense impacts pitchers ERA? Go watch a few Phillies games. Garcia often had easy ground balls become HITS because the Phillies infielders could not get even close to enough to TRY to catch them. A dozen of more groundballs off Garcia were called hits. Another dozen perfect DP groundballs were not turned. Those KILL a pitchers ERA. The Phillies defense was one of the worst in HISTORY. They were 50% worse than ANY team last year. Not a little worst. 50% worse. And you seriously think that would not have a huge impact on Garcia’s ERA? Time to get educated. I think Angels fans are going to be surprised by how good this trade is. Garcia, an extreme GB pitcher, had a FIP that was 2.56 lower than his 6.07 ERA which is a clear indication of just how incredibly bad the Phillies infield was last season. Garcia struck out 10 per 9 IP and his K/BB was better than Alvarez in 2018. Alvarez had the second best defenses in baseball, Garcia had one of the worst in MLB history. Phillies did get a good reliever and their infield defense got much better with the addition of Segura, Kingery no longer playing SS, and Santana and Crawford leaving. They still have the worst OF defense in baseball, but the infield has improved immensely.